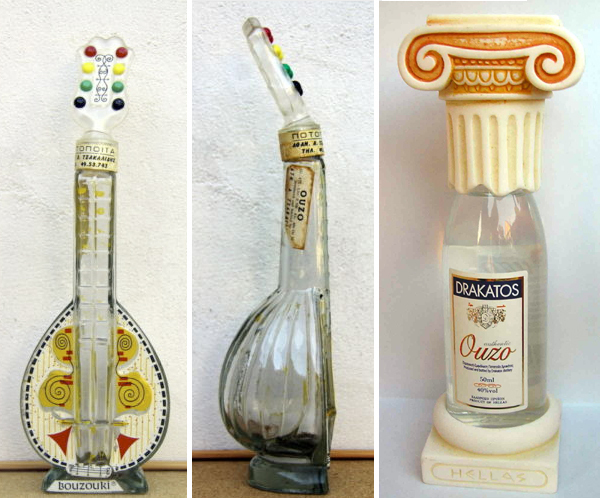 The bouzouki-shaped ouzo bottle (shown above, left and center) is part of the same figural bottle tradition that brought us other stinged-instrument bottles: viobots and banjobots. 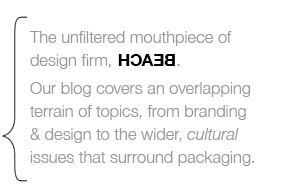 Are bouzouki-shaped bottles called “bouzoukibots?” I don’t know, but I’m guessing they are highly collectible. The column-shaped Ouzo bottle on the right features a large Ionic capital as a bottle cap and is obviously a prized collectible object.